If you’re looking for an amazing golf vacation, please don’t look further than Myrtle Beach for all your golf needs. 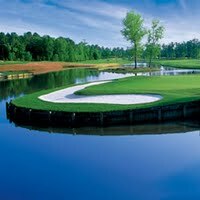 A Myrtle Beach golf vacation offers some of the best golf in the country along with all the amenities of Myrtle Beach. After you hit up the links you can experience some of Myrtle Beaches first rate dining, shopping, entertainment and more. Myrtle Beach offers over one hundred championship golf courses around the area. So whether you’re just starting or have been golfing all your life, there is a course for you. As the temperature cools in the area the discounts starts to sizzle. This is a great time to save some money on a golf vacation in Myrtle Beach, so don’t miss your chance to play on some of the greatest courses on the east coast.